Experience a real working farm, and its animals. 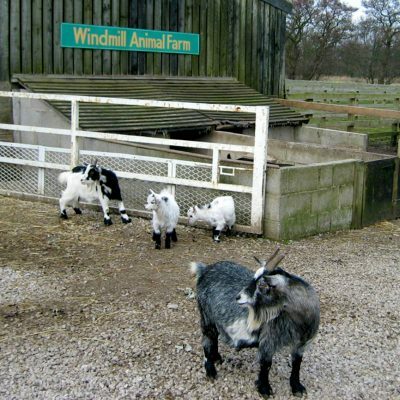 Windmill Animal Farm has been open to the public since 1992 with 60% of the farm accessible to visitors. Home to Scottish Highland Cattle, Jacob sheep from Spain, rare Valais Blacknose sheep from Austria, Dexter cattle, Pygmy goats, Shetland ponies, Australian Wallabies, Angora goats and Llamas. In spring the farm opens its lambing shed to visitors, so you can see the lambing and bottle feed the baby lambs too! With indoor and outdoor play areas and a one mile long miniature train track it’s a great West Lancashire family attraction for various times of the year.